Their HP 4200 Multi Jet Fusion Machine provides higher quality, faster and cheaper. Jawstec offers 3D cutting edge printing services using the HP MultiJet Fusion Machine. 3D printing allows for almost limitless freedom in manufacturing design and incredibly quick production. With Jawstec’s 3D printing, products are treated like works of art. Parts can be printed to an intense degree of detail that is difficult or impossible to mimic using other manufacturing techniques. Jawstec has used 3D printing to create lightweight parts for drones built to precise specifications. Some of the materials the Jawstec printers can use are SLA standard resin, chrome moly BMD, nylon SLS, stainless BMD, inconel BMD, tool steel BMD, and copper BMD. 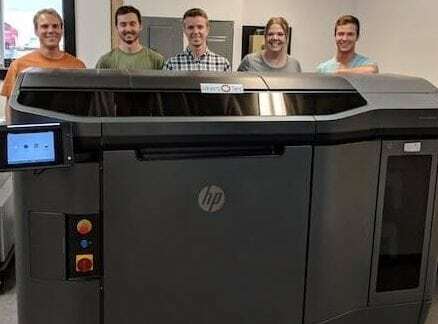 For plastic and nylon 3D printed items, the HP 4300 produces highly durable products in a matter of hours. Hundreds of smaller items can be printed in mass over the course of a few days, all at a very low cost. Jawstec then hand-polishes parts to ensure the product is looking its best. Beyond 3D printing manufacturing services, Jawstec also offers a 3D design service. Their expert in-house designers create a 3D CAD drawings based on consumer specifications and ideas. They strive to work quickly and effectively, bringing the same quality to their design services as they do to the 3D printing manufacture process. Jawstec provides fast, high-quality 3D printing capabilities as quickly as possible. If you are looking to create a prototype or begin mass manufacture, their HP 4200 Jet Fusion Machine and professional service are a faster and cheaper choice than traditional manufacturing methods.